Height - Measure from head to toe, without wearing shoes. It works better by the door frame. Chest - Measure horizontally across the most prominent part of the chest. 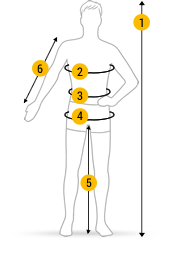 Waist - Measure the waist at the narrowest part of the torso. Hips - Use the tape to measure the most prominent part of the bottom. Arm length - To determine the arm length, measure the outer part of the arm, from the top of the arm, over the elbow, and down to the wrist. The elbow should be at a slight angle. Stocked items sent same day (if possible). 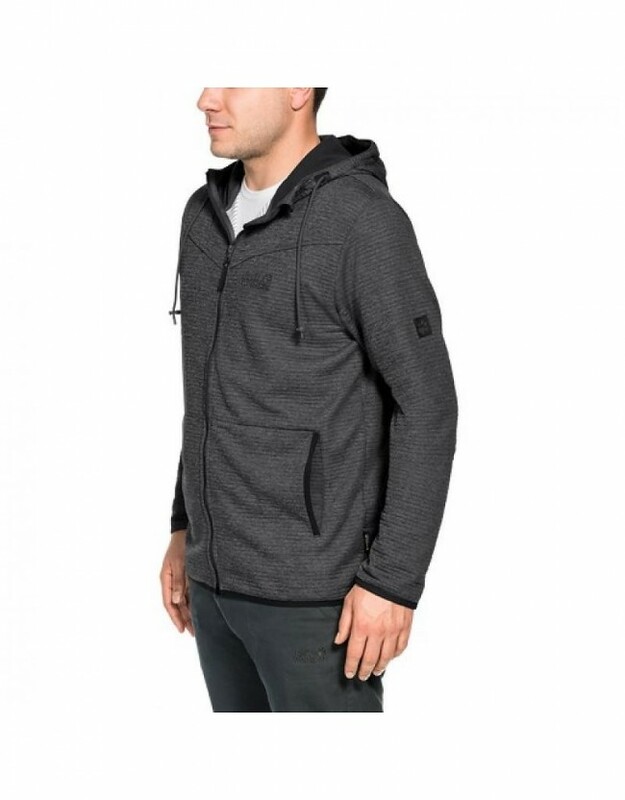 Travel the world in style with the Tongari Hooded Jacket, brought to you by Jack Wolfskin! 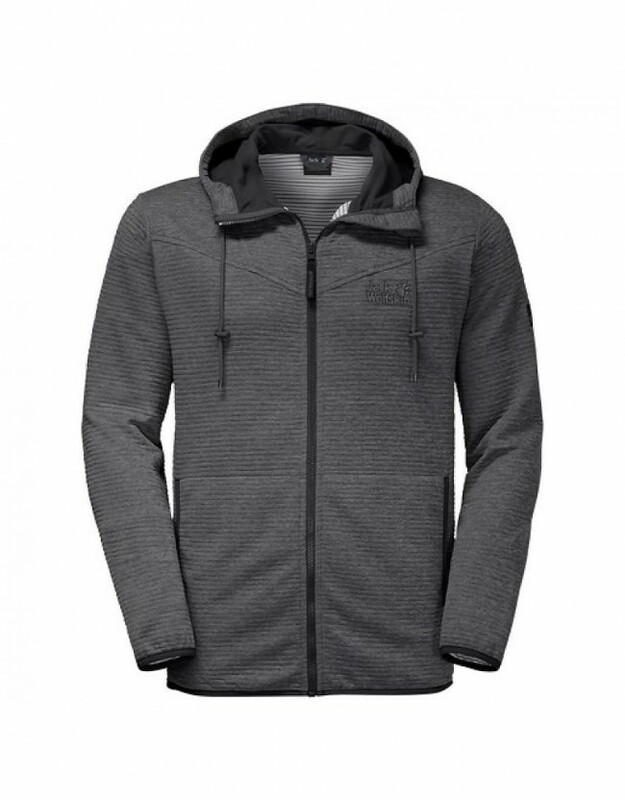 This hooded jacket has been crafted from a two-way stretch, marled effect fleece with ribbed structure for ultimate comfort. The jacket provides freedom of movement, moisture management and stay-fresh properties for all day wear – perfect for early morning tours around the city to experiencing the vibrant night life! 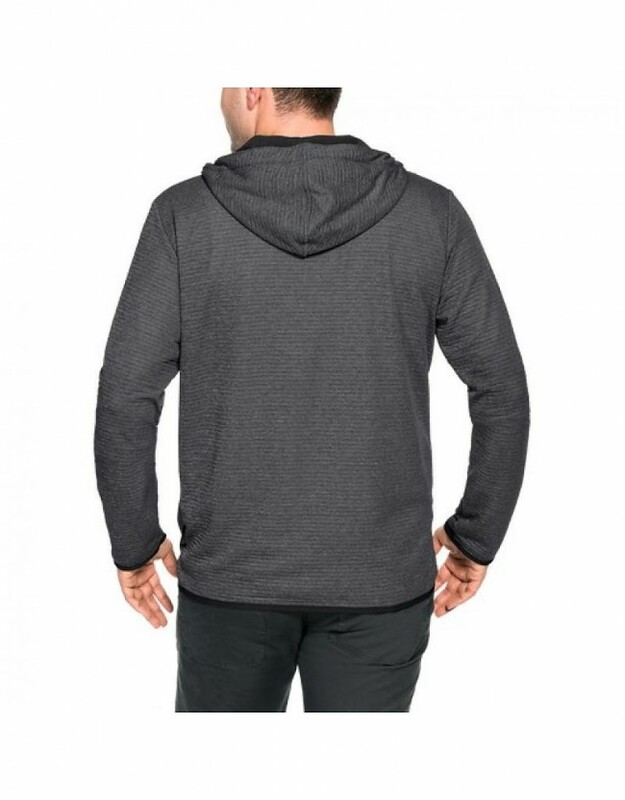 The design includes a hood for extra warmth, a full-zip, hand pockets, and is elasticated for a secure, cosy fit! 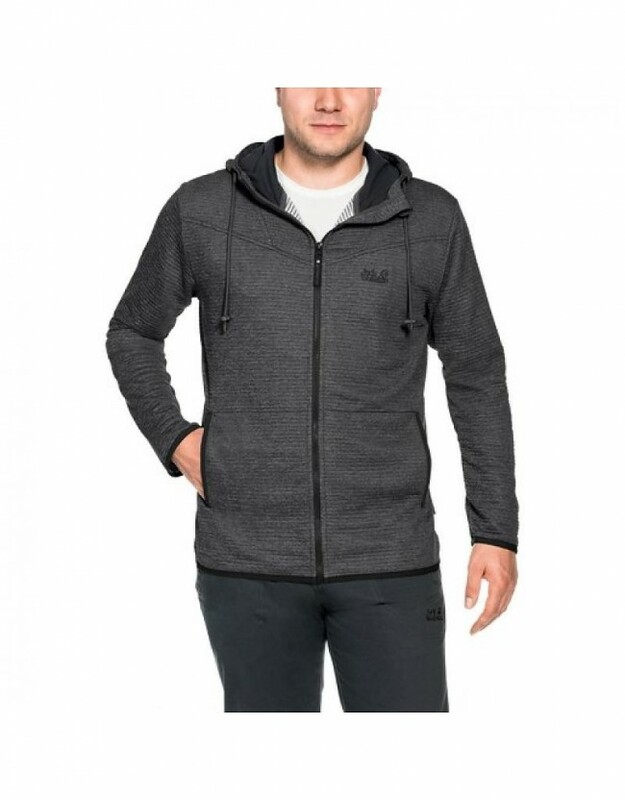 The Tongari Hooded Jacket by Jack Wolfskin is the ideal choice for your next journey!